When I saw the Dollar Store challenge for the latest #30 Day Flip, I immediately started thinking of areas in my house that need revamping. 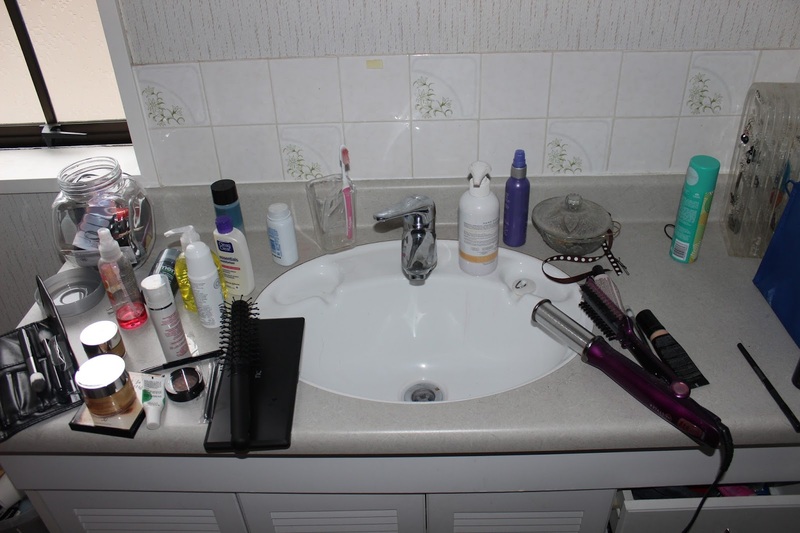 I am lucky that I have a bathroom all to myself, but it was getting a bit messy with all of my hair, makeup and skincare products. I didn't have a place for everything, so my cupboards were full of product samples and my often used items were just sitting on my cabinet. 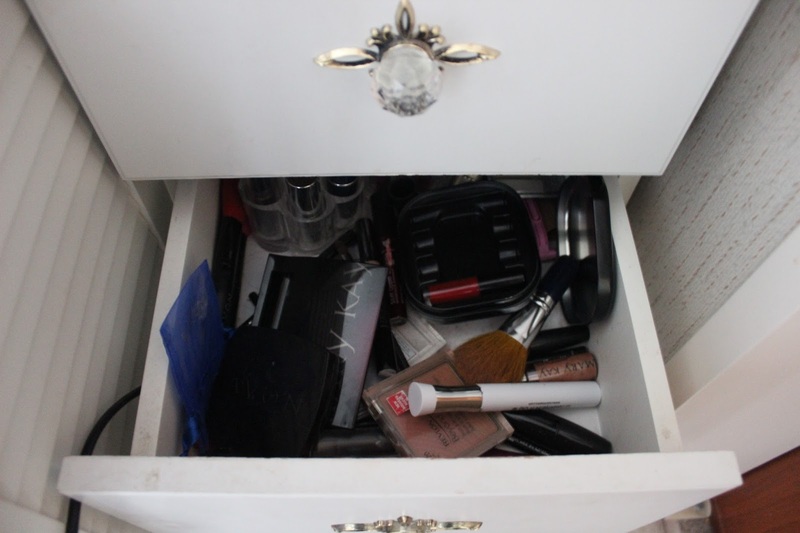 My drawers were in a shambles, with product everywhere, and I always had to rummage through the mess to find a lipstick or eye pencil. 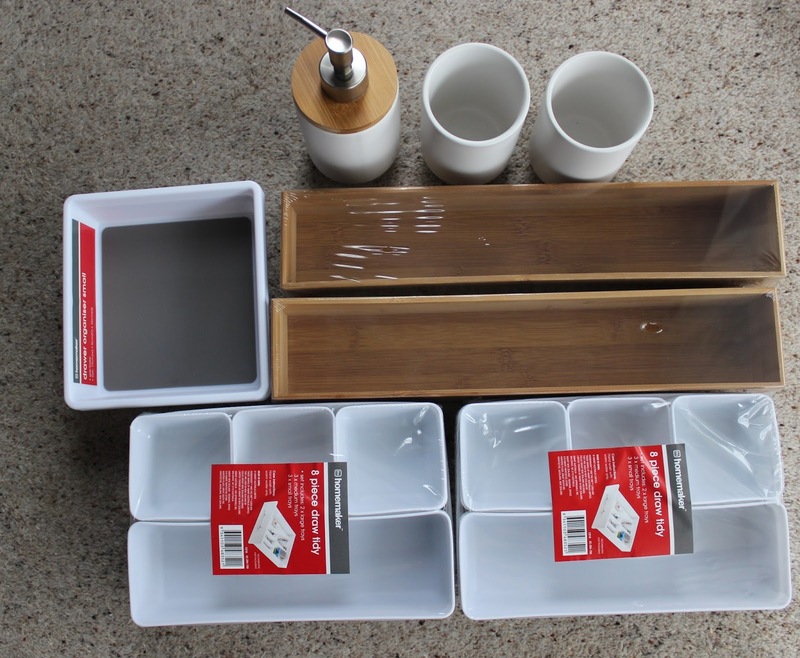 Off I went to the local dollar store, and purchased some trays for kitchen cutlery, some bathroom tumblers, a soap dispenser and two wooden trays. 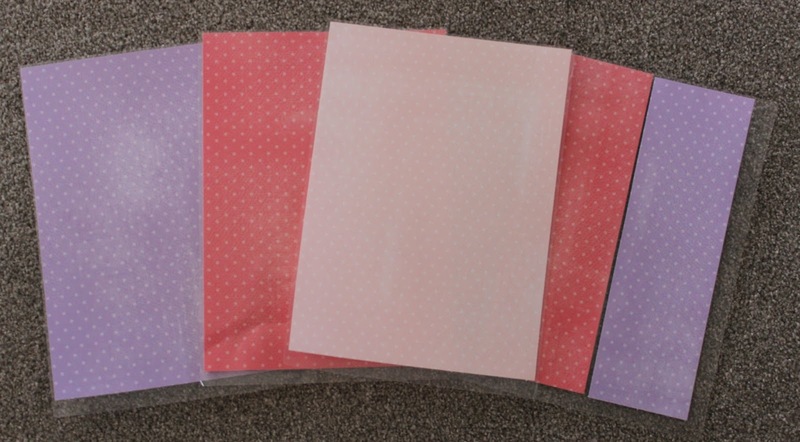 I then hunted in my scrapbooking supplies for some girly subtle patterned paper that I knew I wouldn't use in layouts. I cut each piece to A4 size and then laminated each sheet. I then cut each sheet to fit each tray-. 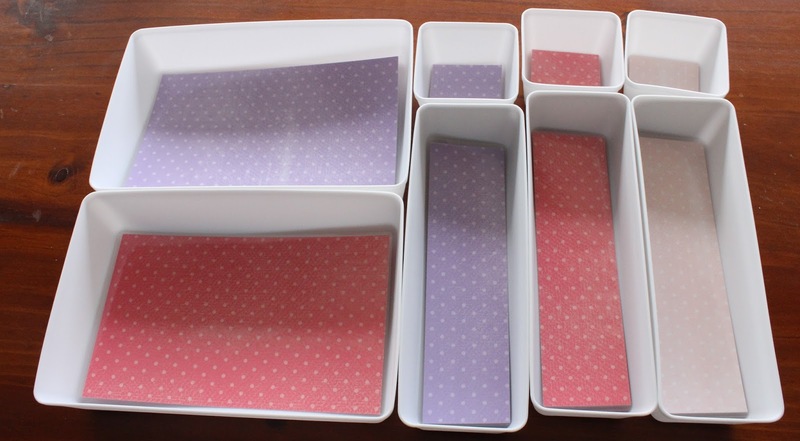 I do not have exact measurements as everyone's trays will be different, but I managed to get the right shapes and sizes out of the four laminated sheets. 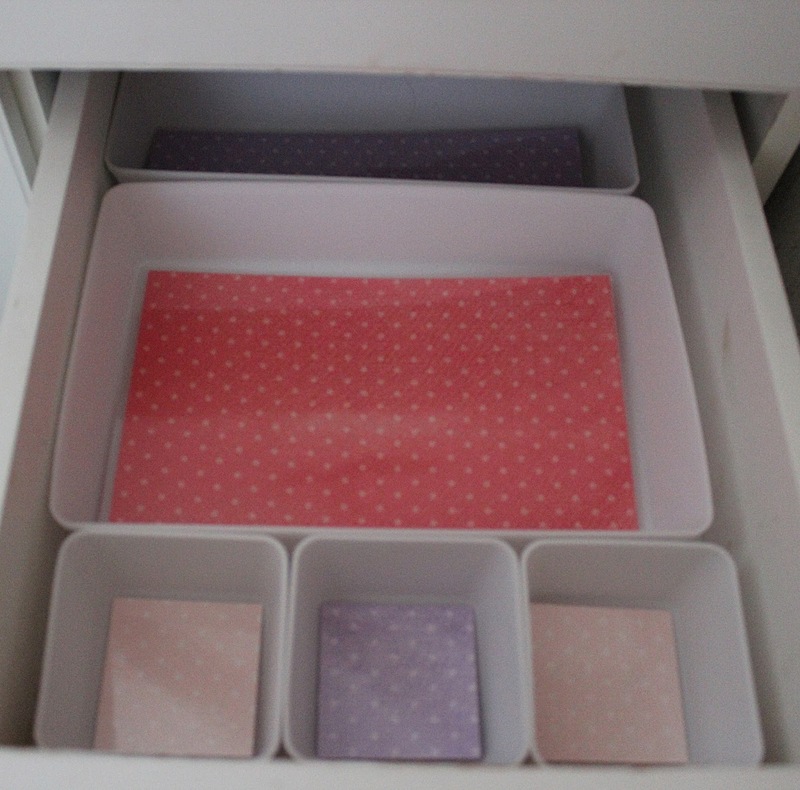 I then played around with placement of the trays in each drawer until I was happy with the arrangement. 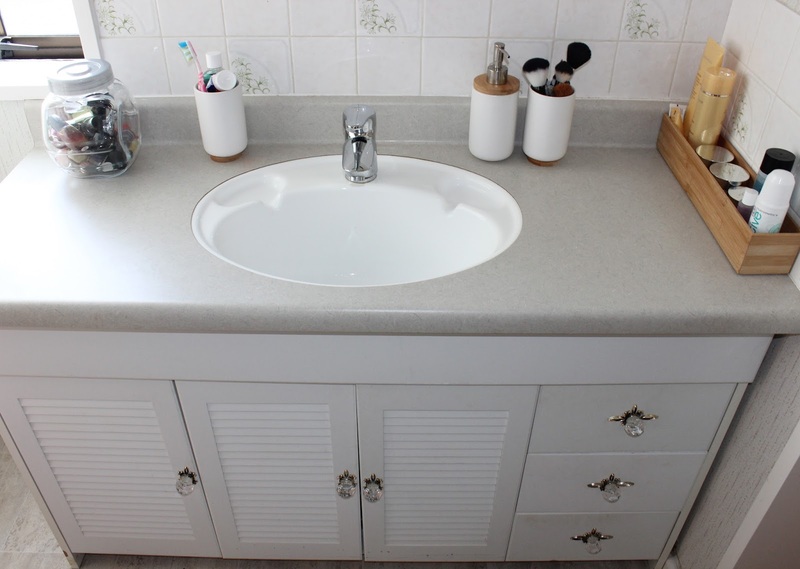 Now, my hand soap, dental supplies, makeup brushes, nail polishes and daily use skincare products all have their place on the top of my vanity. You will notice I put my makeup brushes in one of the bathroom tumblers. 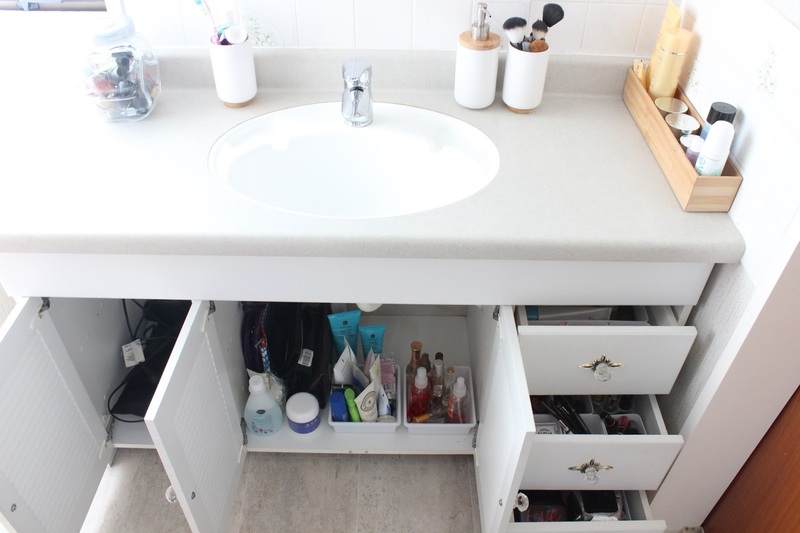 I also used one of the wooden trays to place my daily skincare routine items, deodorant, eye makeup remover and eye cream within easy reach on the counter, as this way I can still get to them easily but they are tidy. In my side draw I have the other wooden tray with my large makeup palettes, as well as my hair dryer and hair straightener. 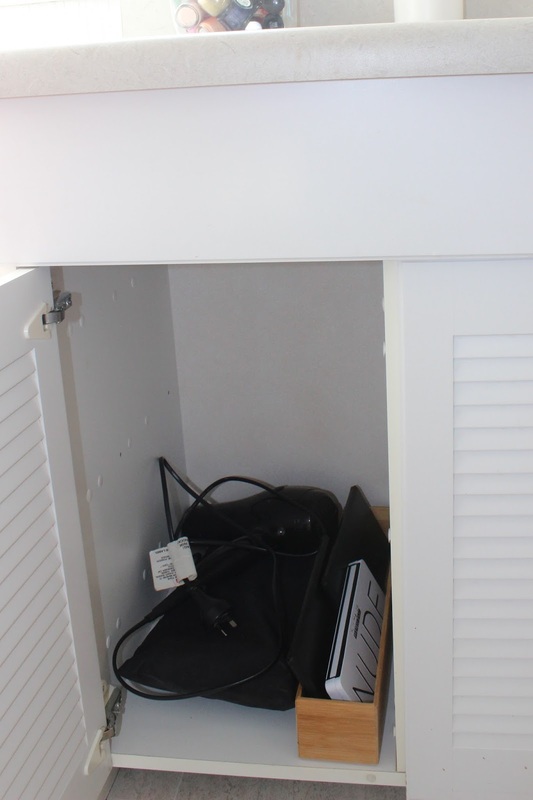 The middle cabinet originally had two shelves, but there had been a leak in the cabinet and the top shelf was warped and ruined. I got my husband to remove the shelf, and in the bottom of the cabinet I have put my makeup bags, hand and body lotions, cleaners and perfumes. 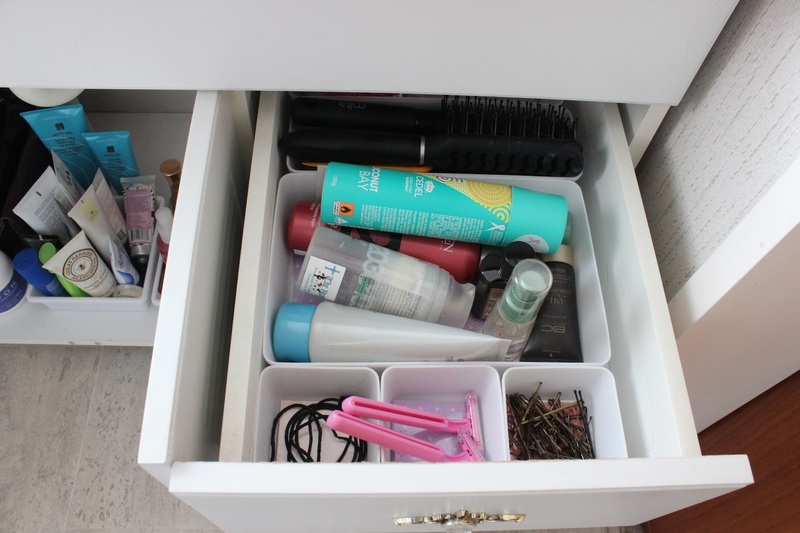 The top right draw now has compartments for my hair ties, razors, bobby pins, hair care products and hair brushes. no more hunting in the draw for a hair tie! 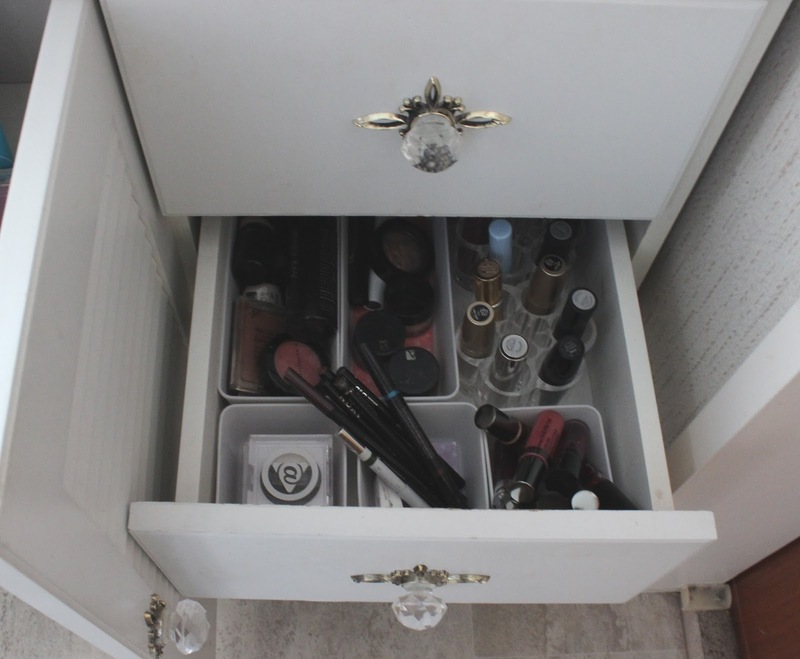 In my middle draw I have organised my makeup into face, eye and lip segments. I don't have a lot of makeup but now I can find exactly what I am looking for. 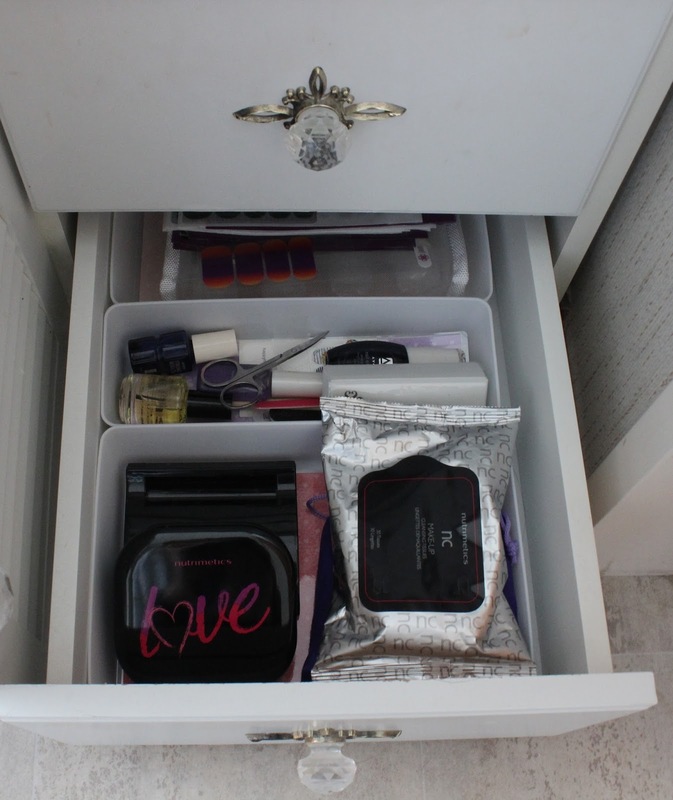 My bottom drawer has my cleansing wipes, makeup tins, nail care items and Jamberry nail sheets. Now I know exactly where everything is, and I can keep everything orgainsed thanks to my Dollar Store DIY cabinet tidy up. Such an improvement- and it saves me so much time in the morning and at night having exactly what I need at my fingertips. I love this fun and easy flip. Great job reorganizing everything :) Looks wonderful. What an improvement! 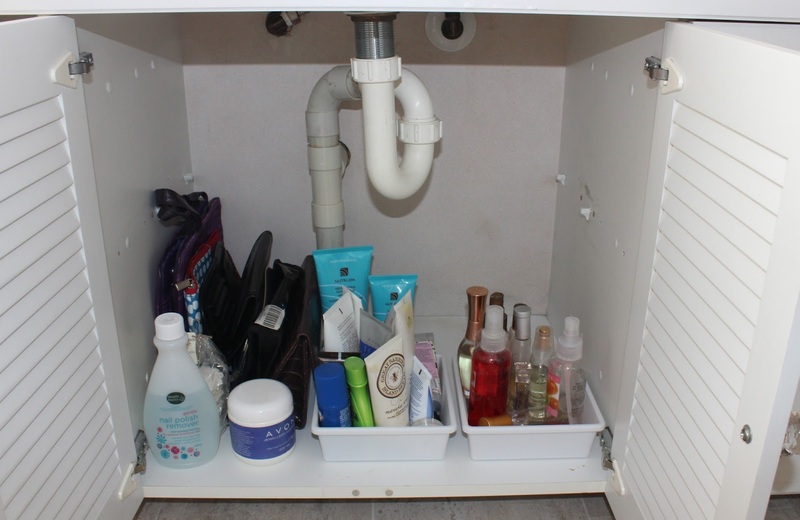 it's easy for our bathroom draws to get into such a shambles isn't it? I regularly clean out things I'm not using or samples. They clog up the draw I say! Very impressive organisation! I need to get all my beauty products off my vanity too! It's looking way too cluttered! That looks sooooo good! I love a good sort out. I am going to use those wooden boxes in my bathroom now too. What a great idea. 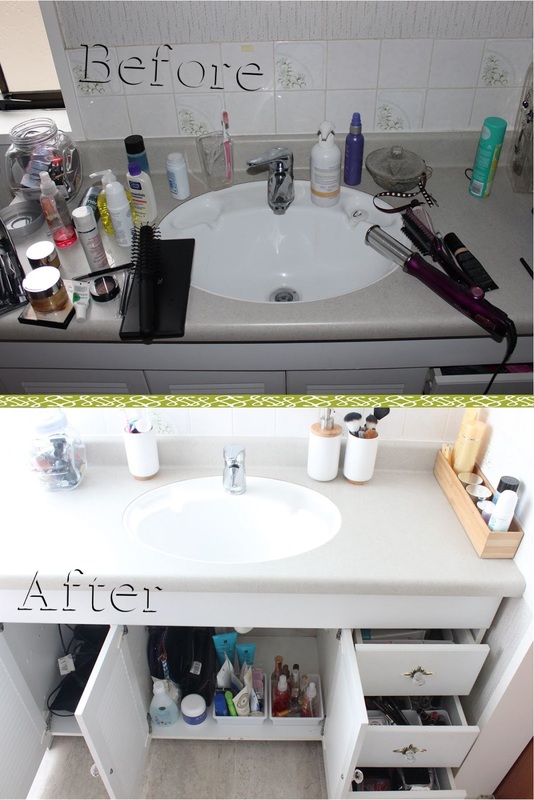 I recently did this in my master bathroom, but need to do it again in my hall bathroom! 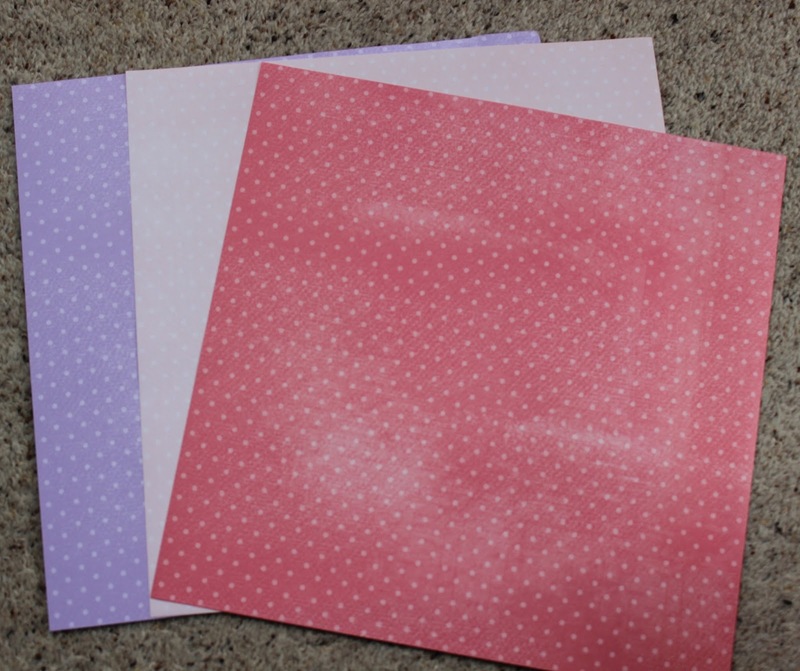 I did my sheets a little differently, I used outdoor Mod Podge which is waterproof! I should have just laminated them! lol! This looks great! Everything is so organized and accessible. I wish I had a bathroom all to myself!